Every person’s yard can become their favorite room in the house and play a meaningful role in their daily life. 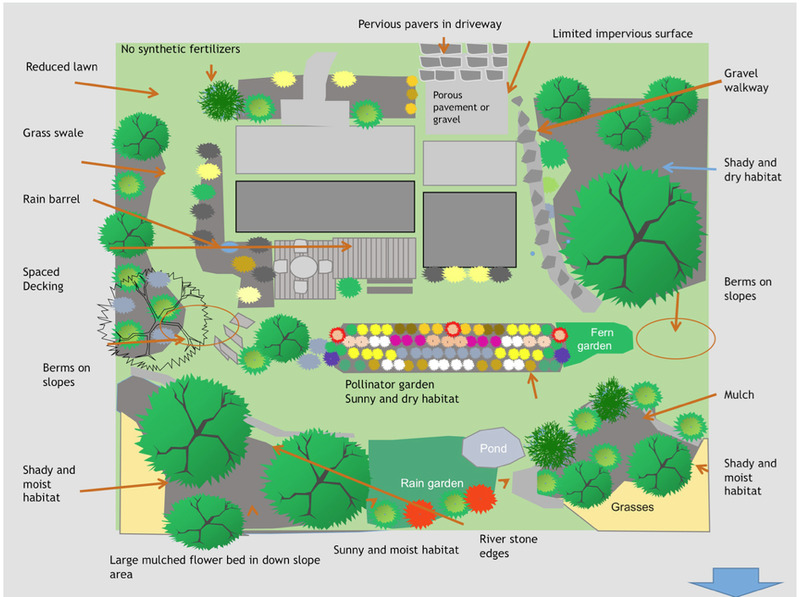 A yard can make a significant environmental contribution to stormwater management, water quality and supply, flood protection, water treatment costs, clean air, pollination, food and shelter for migrating and resident birds and wildlife. It can also create a healthy place to relax, play, entertain and have fun. People can be inspired by the beauty and healing powers of nature while experiencing amazing beauty, birds, butterflies, sounds and fragrances. Whether you hire help or do it yourself, the process of creating valuable habitat can save money on medical expenses, energy, water and lawn care while increasing the value of one of your greatest assets—your home. Meanwhile, you are helping to reduce your community's cost of living and taxes. Best of all, you, your family, nature and community all get better with age. Here are some downloadable pdfs with conservation design solutions. Assistance from Certified Backyard Conservation Designers: Help with a design or instillation click here. Ready To Go Native Wildflower Gardens: Prepackaged gardens from a local nursery. Order in our store. The cost for one garden is $150 including shipping to locations in southeastern PA. Two gardens cost $240 if shipped together. Shipping costs are included. Native Plant Search Engine - Find the native plants you need.